Realising a childhood dream by hitting on Wimbledon's grass courts, world No.4 Heath Davidson has turned his attention to reeling in the few players still ahead of him in the quad wheelchair rankings. Heath Davidson’s rise into the world’s top four came just a fraction too late. 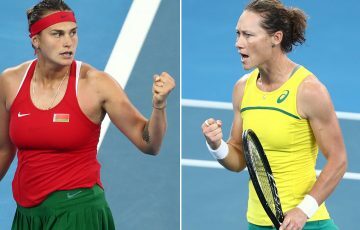 The Victorian hit a career-high No.4 in mid-April this year yet missed the entry cut-off for the inaugural quad doubles exhibition at Wimbledon. It was the first time the quad division of the sport had featured on the hallowed grass courts of SW19. “I missed out by one spot. 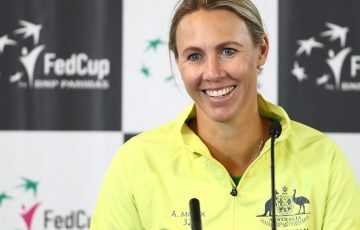 I actually jumped up the rankings three days after the invitations came out, so that’s a bit shattering,” Davidson told tennis.com.au at the All England Club. Indeed, Davidson now sits two places higher than the sixth-ranked Lucas Sithole, who was among the four players who took part in the doubles match. Despite his disappointment, Davidson made the best of his situation. He accompanied friend and fellow Aussie Dylan Alcott – with whom he won quad doubles gold at the Rio 2016 Paralympics – to London and experienced the city for the first time. He visited Chelsea Football Club’s home ground, soaked up the World Cup atmosphere watching England’s semifinal against Croatia, enjoyed his first-ever hit on grass and practised ahead of his campaign at the British Open, where he went on to make the semifinals in the week after Wimbledon. From the sidelines he also supported Alcott, Sithole, David Wagner and Andy Lapthorne as the quartet made quad wheelchair tennis history with their debut at Wimbledon. The significance of this milestone was not lost on him. 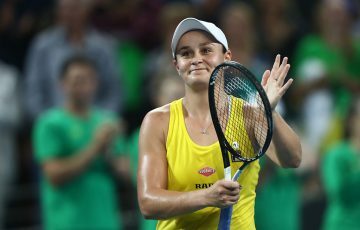 “Being on the grass for the first time was really cool and hopefully we can make it (the quads exhibition) an official tournament, and my ranking stays this high and I can actually play it,” Davidson said. “(We had our) first hit here on Court 15 and me and Dylan absolutely loved it. I did post on Instagram that it’s a childhood dream come true. Not everybody gets to do it and I’m very lucky that we’re here. Just being on the grass and being at the mecca of tennis is unreal. 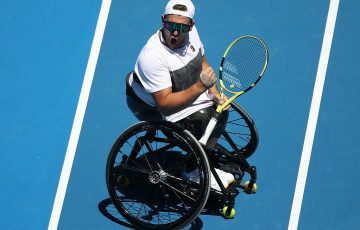 Davidson admits he is “sort of in the background a bit, just playing tennis and stuff” as his illustrious compatriot Alcott – a former world No.1, five-time Grand Slam champion and Rio 2016 singles gold medallist – uses his profile to lead the push for greater inclusion, opportunity and visibility for wheelchair athletes. Yet the 31-year-old is also active in this space and is steadily building his own profile in the sport. Davidson won the Daegu Open in Korea in early June for his third career ITF title and in addition to his singles success has ascended to world No.2 in doubles. “I’m actually higher-ranked than Dylan (in doubles) so I tell him that all the time,” he laughs. He recently tweaked his backhand grip to add more bite to his slice and improve his feel, and he says that since winning gold in Rio both his mobility and serve have improved. “I guess my tennis IQ is getting better, which is helping,” he said. “I know where to go and I’m playing percentages instead of just guessing … (in) Rio I was just looking up in the air and hopefully the ball came somewhere near me. He is not content to stop at world No.4 in singles. Davidson is playing four more tournaments this year, starting with this week’s Belgian Open in Jambes, where he has progressed to the semifinals. 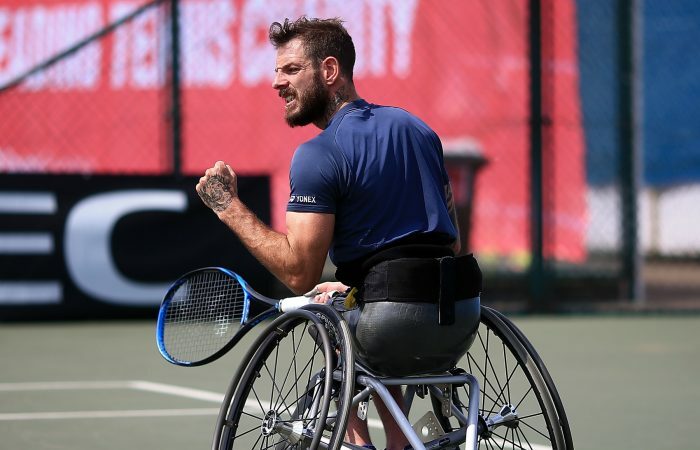 He’ll return home before heading off again to North America – he applied for a wildcard to contest the US Open, which uses a four-player round-robin format – and will conclude his season at the Wheelchair Tennis Masters in Orlando. He has the third-ranked Alcott and second-ranked Lapthorne in his sights. 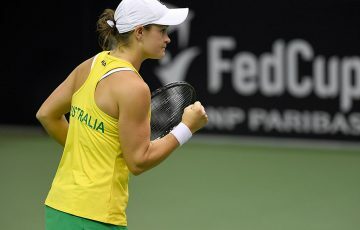 “I’m just keen to keep playing and hopefully improve my ranking by the end of the year and see how we go. And bring on the Aussie Open (in 2019) I guess,” he said.